sew ritzy~titzy: a square a day + a whole lot of joining = a throw! a square a day + a whole lot of joining = a throw! Wow. I amazed by this throw for so many reasons. The first being that it turned out so lovely! 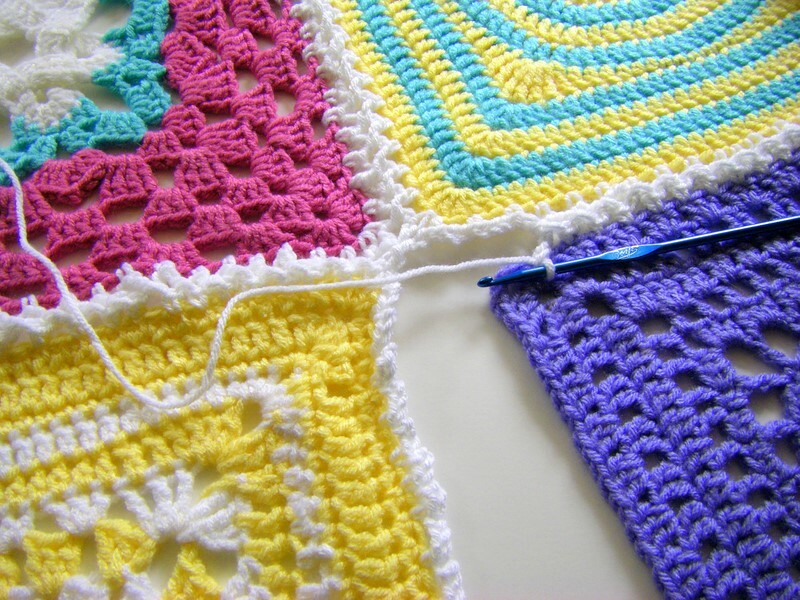 When I first started to crochet the squares together, I decided on a turquoise color as the joining color. Ehhh. Not so good. Or as my kids would say, 'pretty cheesy'. And actually I thought the turquoise overpowered the whole look of this throw. So, as you can tell from this pile of ramen-noodle-looking-yarn, I had to frog about 8 blocks worth of turquoise joining...and if that weren't time consuming enough, I realized that some of the blocks were not even close to being 12 inches square. And as much I figured it wasn't going to be a big deal --- it was. Turquoise was out and white was in. And being precise about the actual size of each block became much more crucial than I thought --- it was either that or have one lumpy looking throw. And then I found this video for the flat-braid joining. A perfect method for the look I wanted. I made sure that I crocheted 22 3chain loops on each side of every block and a 5chain loop for each corner. This throw is also amazing to me because I finished it. That is H.U.G.E. for me. I see other people whip out project after project all perfectly completed ....but me? Well, let's just say I have a pile of WIP's that weigh heavily on my guilted ( I know -- not a word) mind. Sheesh. And it's just yarn. It's much, much more than just yarn. It's Melissa coming up with the idea. 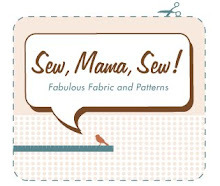 It's oodles of designers sharing their patterns. It's the hours of hooking. It's the constant inspiration from others who are stitching right along with me. It's the heady feeling that I get when I read comments that come from you. All of that --just thrills me to no end. MUCH, much more than just yarn Dawn! I totally know the feeling! And I love the flat braid join too! This is such a beautiful beautiful throw! SOOOOO much more than just yarn!!! This is a beautiful throw. Hope you enjoy it in the years to come. You did great work here. That is a really beautiful throw, Dawn! Love all the colors together and I'm so proud for you! Amazing job! Absoluely beautifu;! I love the colors you chose and all the different patterns. The granny square was the first thing I learned to crochet from my Grandma. Thanks for sharing the link about the joining stitch, I'll be trying this one. Oh, it is wonderful great, amazing!!! Congrats for having so much patience! This is the most beautiful blanket I have ever seen! And what a great method to join all this lovely squares, thanks for sharing. It is beautiful. You did a great job. I hate to join squares myself. so lovely! i'm so glad that you finished! 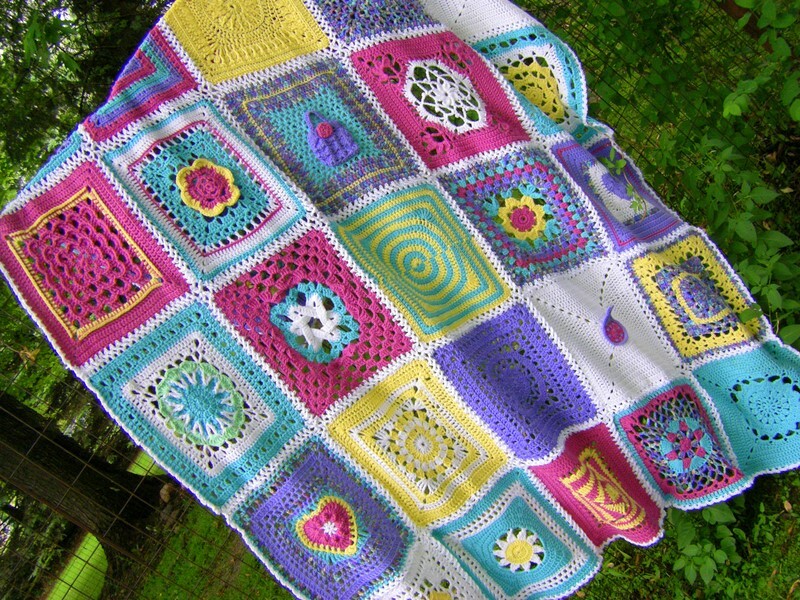 I'm not usually crazy about granny square afghans, having done a few of my own but this is gorgeous. I love the colors you used in the various designs and the size of the yarn makes a big difference too. I agree the white was the perfect way to set the blocks off. I love it!! Did you get your patterns from a book? I'd be interested in purchasing it if you did. Great job!! It is so pretty! You did such a great job with the blanket! Gorgeous! I love how it came out! This is sooooo pretty!!! !I love it!!! Fabulous! I love the fresh colours. Absolutely beautiful - love the white joining and the cheery colors - perfect for summer. You can be proud of yourself for a job well done!! Your throw turned out gorgous. I have been waiting to see if for a whole month, checking every day to see if you have posted anymore lovely blocks! 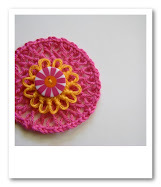 I love to crochet and find your blog and creations soo inspiring. Thanks for sharing with others your talent!!! I nominated you for an award...check it out! wow, Wonderfull, i loe it!! Your throw is absolutely dreamy. 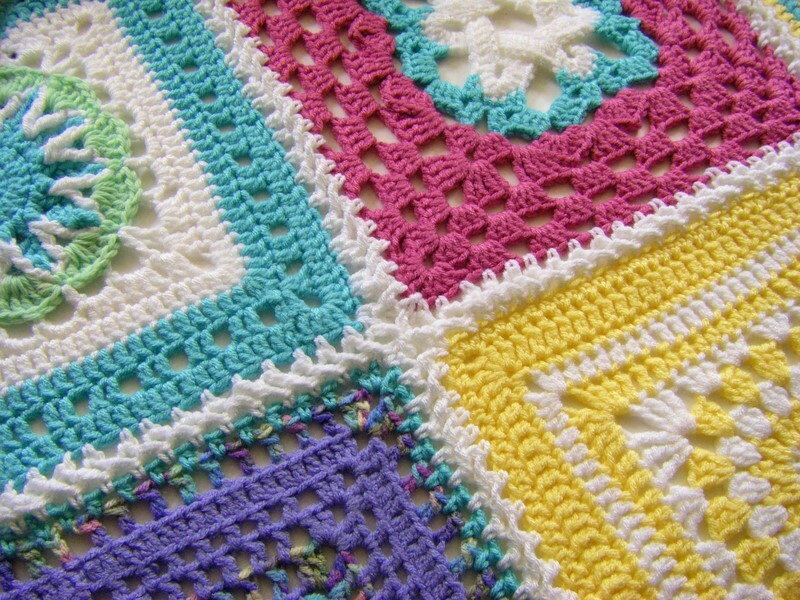 I love the bright, airy colours and the white is just perfect to join all the gorgeous squares. I would love it too!!! 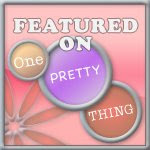 I have now bookmarked your blog so I can come back and find all those patterns and make them too. Very inspiring. Beautiful!! And thanks for the link to the chaining video, that will come in handy if I ever try to make something so big! Dawn, this is soooo pretty! Your color sense is awesome! Love it! This is really beautiful and inspiring. I´d like to do something similar. How much yarn did you need for the whole throw? Wat een prachtige deken is het geworden... En een mooie verbinding tussen de squares. The throw is beautiful and I love the colors. I know that it is now July, but I am going to try to make a square a day. Do you know the number of different colors that you used? Wow ! Very, very, very beautiful ! I'm bookmarking this pattern. I've got one I'm currently starting from the DROPS website. Using their yarn I had to send away for it. Looking forward to trying there yarn out. Did you use all "Love this Yarn" except for the Red Heart? 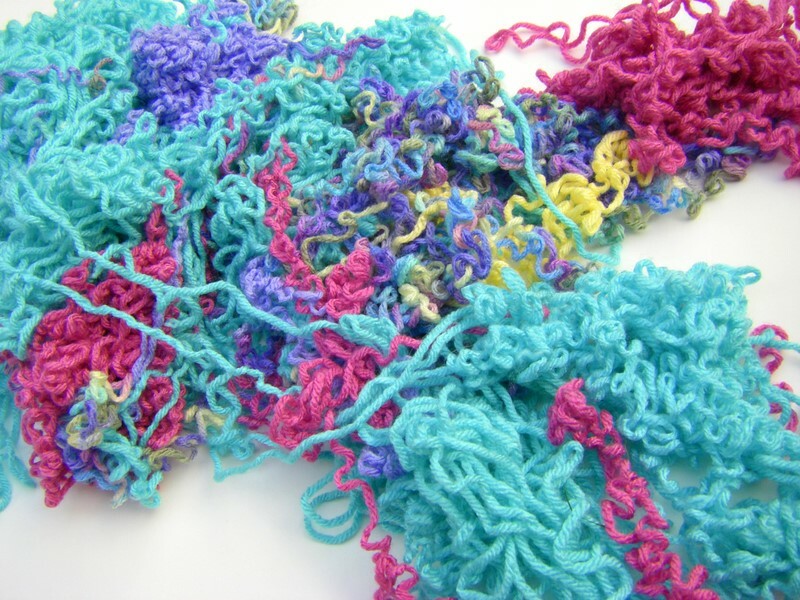 Always wondered how that yarn knit/crochet. Did you keep it, or gift it out? That would of been hard for me. BEAUTIFUL squares! :) Well done! Really wish I knew how to crochet! But I will learn bc I really want to make one of these for each of my kiddos! 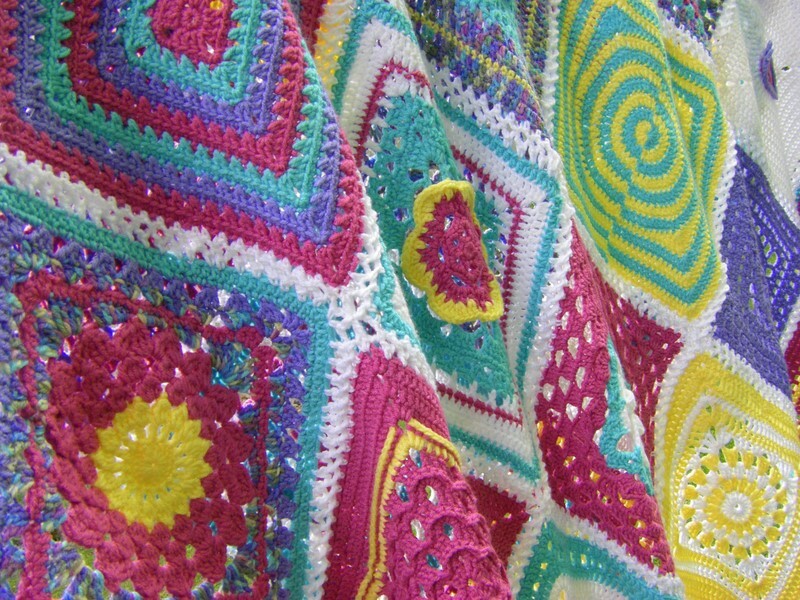 Found this beautiful afghan on pinterest. I love the colors and the block designs.